Covered tent area with heaters, Massage Therapy, Open bar (beer and wine), Catered food, Chairs, linen-covered tables, and other special treatments you'll enjoy. Boston to Blooms to Brews Challenge includes custom embroidered jacket and VIP Access! Add an iTAB to your existing registration. Order an iTAB ribbon hanger engraved with your name and finish time, and make your fantastic Blooms to Brews 2018 finisher medal even more special. Transaction ID from your race entry is required. This is not a race registration. This is Elba Benzler and Karen King. They are the race directors for Get Bold Events in the PNW. In August of 2018 Elba will be turning 50 years old and he has a goal he wants to accomplish with his partner Karen King. Elba wants to take on an Ironman, and not just any Ironman. 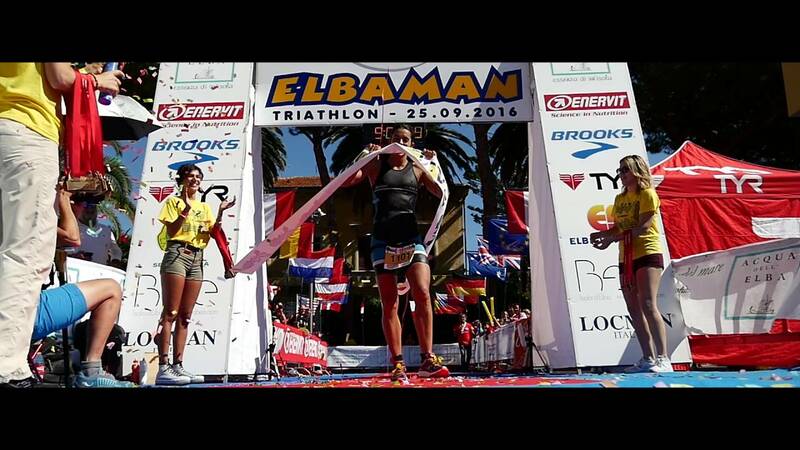 Six miles off the coast of Italy is the Island of "Elba" and they hold an Ironman called "Elbaman"
Elba has taken on 4 Half Ironman events in the past and Karen has accomplished two Ironman events and 4 Half Ironman events. They are asking for donations to help them accomplish this goal on Elba's bucket list. Can you help them? Click here to help make this dream a reality for these two athletes. When this page loaded, the official time was 7:20:39 PM EDT.